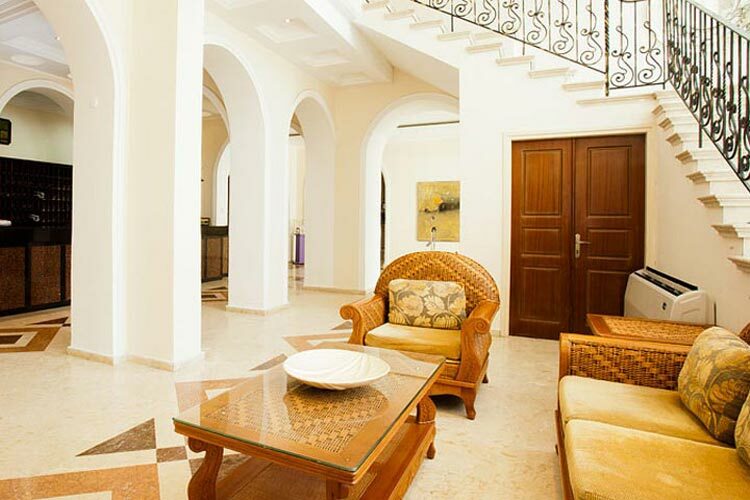 Conveniently situated in the centre of Kyrenia, near the harbour, on the sea front. 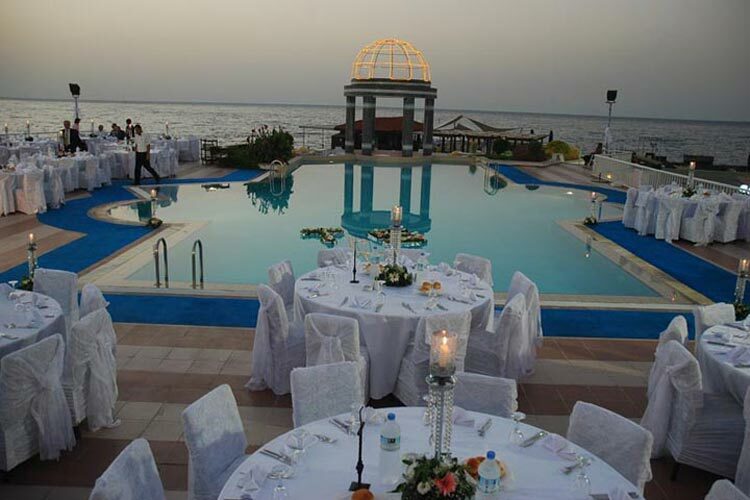 Located near the harbour, the Dome Hotel in Kyrenia, Northern Cyprus is a perfect choice for those looking for a centrally located 4 star seafront hotel with a unique ambiance in Kyrenia town centre. 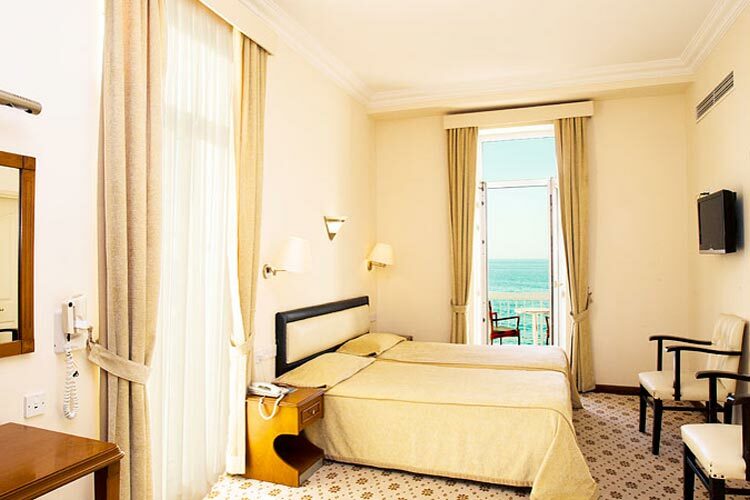 Set on the sea front, slightly west of the picturesque Venetian harbour, it maintains a quiet elegance that is a remnant of colonial days and reflects its unparalleled eighty years of history. It is probably the hotel's longevity and its place in the history of the town that make the Dome a great favourite with clients young and old who have been returning for years. 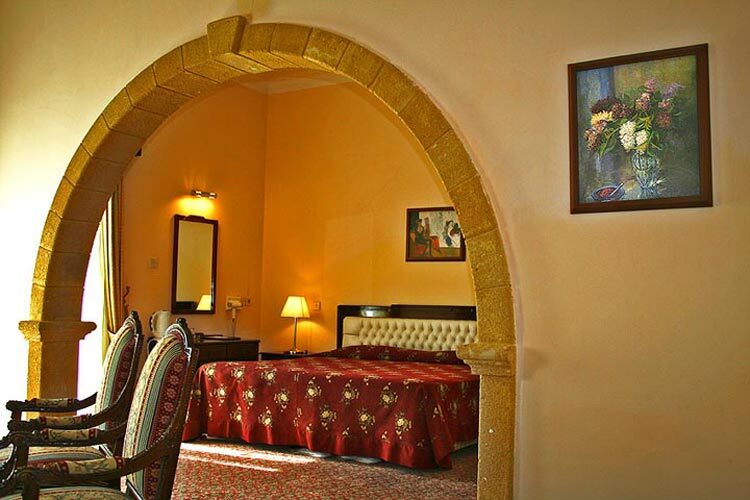 The hotel is renowned for its old-fashioned style and elegance that matches the traditional values. 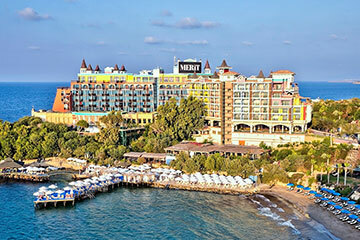 Few hotels in North Cyprus can boast such impressive setting. 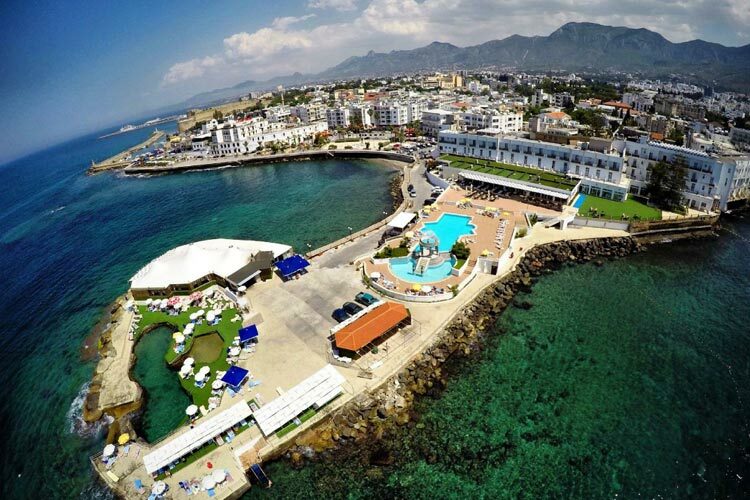 The Kyrenia Harbour, possibly the most picturesque harbour in the Mediterranean, and the castle with nearly 2000 years old history are within just few minute walk away from the hotel. 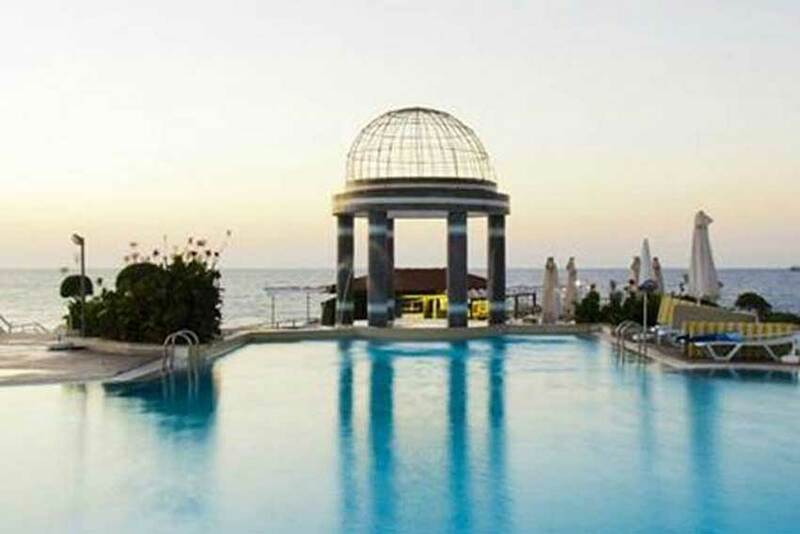 The accent at the hotel is very much on sophisticated relaxation with a choice of swimming pools, one with sea water and the other with freshwater, a spacious reading lounge and the famous Dome Bar where cocktails are a specialty before dinner. This is a perfect place for anyone who wants to have a quiet holiday, close to all amenities and the harbour without having to think about car hire or taxis. Everything for a totally relaxing vacation is close to hand. 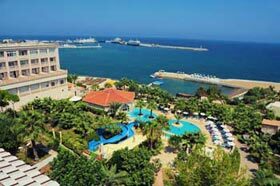 Hotel facilities include a fitness centre with sauna and two outdoor pools built on the promontory that juts out to sea. 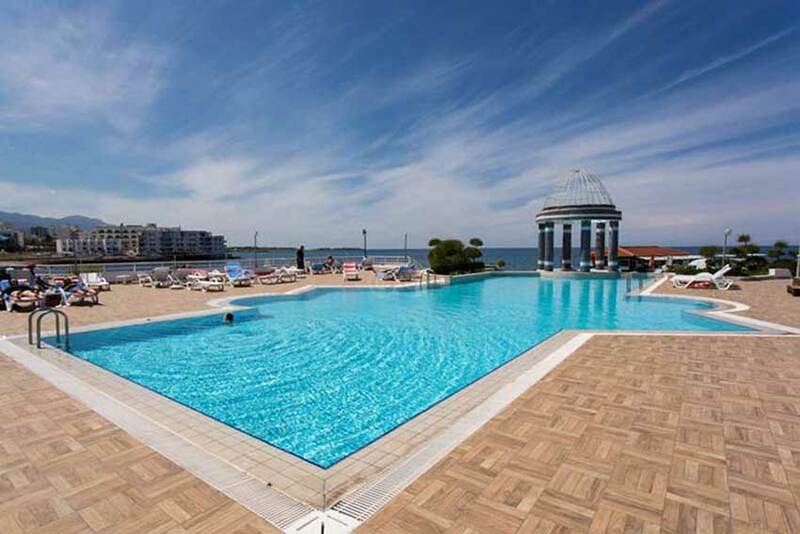 There is a freshwater pool adjacent to the hotel and at the end of the headland there is a sea water pool filled and refreshed with each change of the tide. The Dome has a comfortable bar with musical entertainment from a regular pianist and there are quiet sitting areas, a reading room and extensive exterior terraces with sea views. Anchor Restaurant offers delicious fish/chicken and meat dishes accompanied with sound of the Mediterranean waves and the buziki. 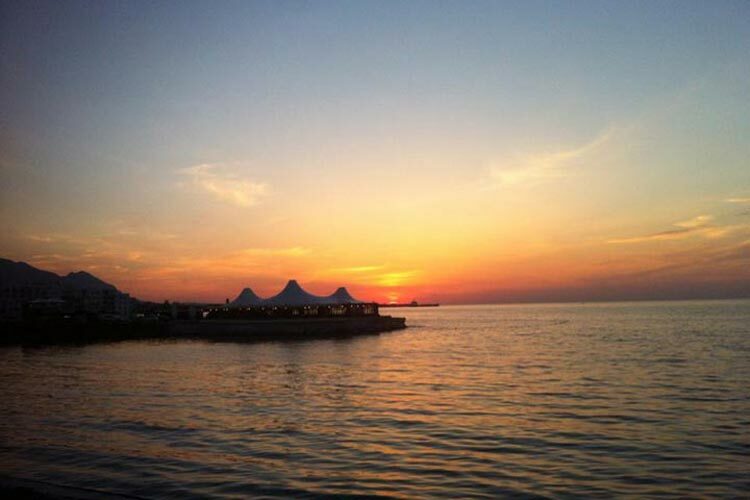 American Bar is where you can enjoy unique view of the Mediterranean sunset while you are sipping your cocktail. Dome Café offers traditional Cypriot appetizing dishes in the authentic city centre of Kyrenia. 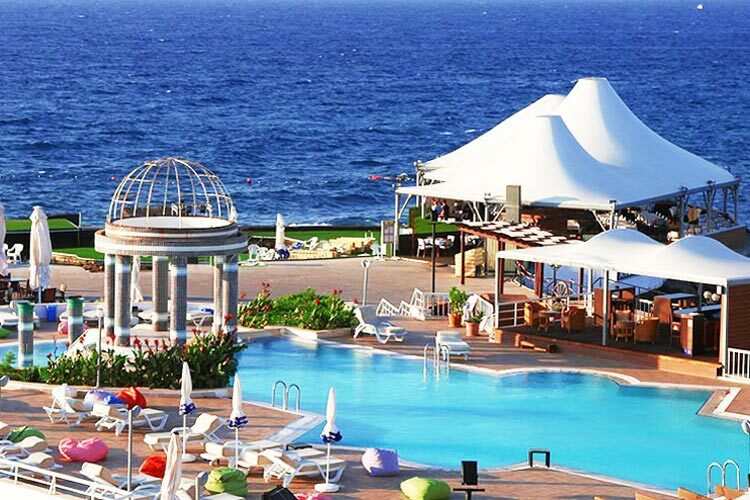 Pool Bar is that place to be for fresh fruit juices and refreshing drinks close to the natural sea water pool. 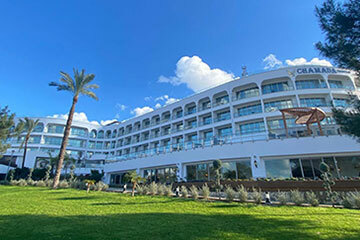 This is a centrally located seafront hotel within a few minutes walking distance from the Kyrenia harbour and the castle. 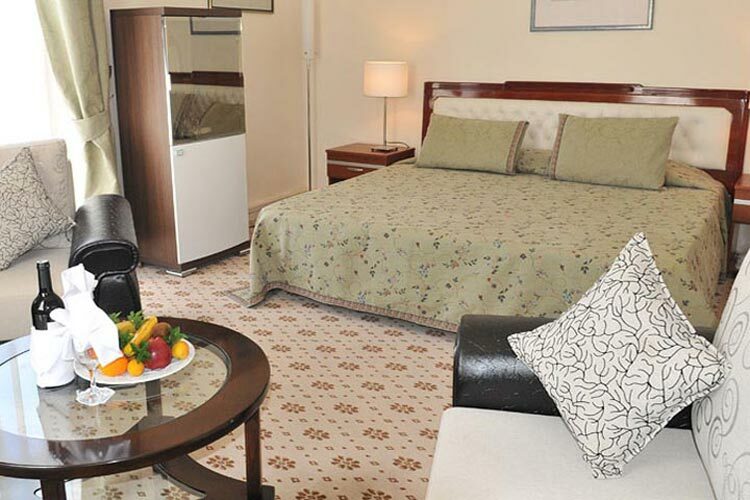 It offers all the conveniences of the city centre. All the amenities are within easy reach. It is 35km from Ercan airport. 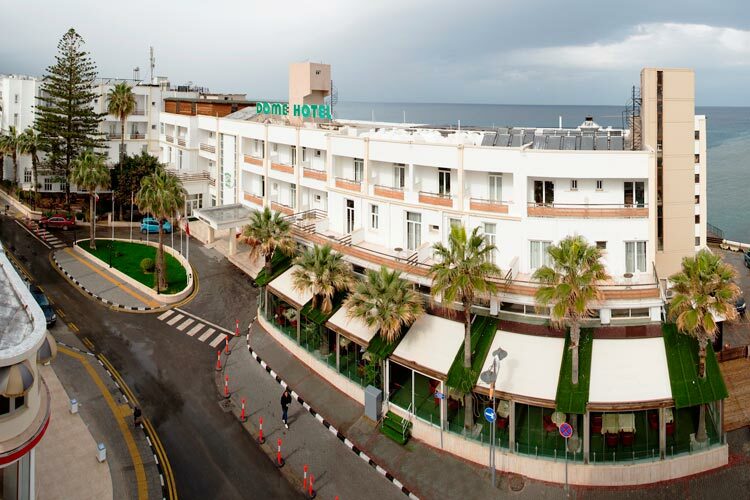 "Centrally located hotel – We had fantastic holiday here"
We had a lovely stay at this place. 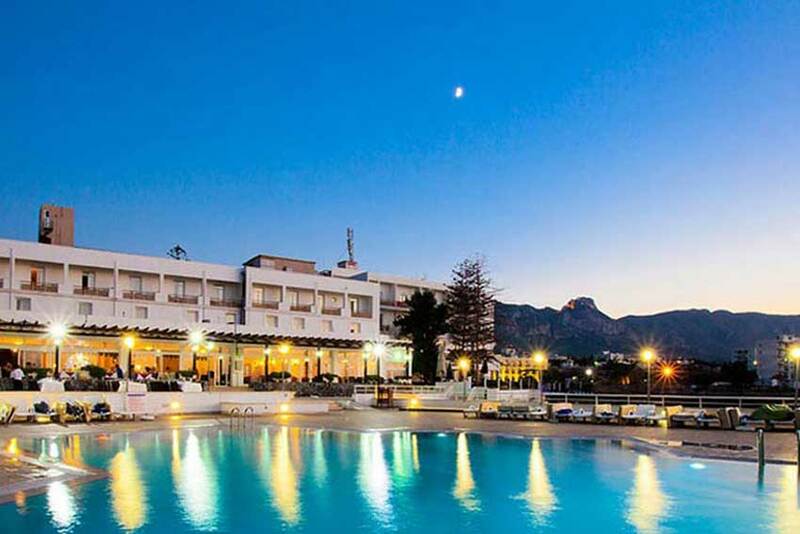 It was a traditional old-fashioned hotel in Kyrenia town centre, within just 5 minutes' walk from the harbour. There were plenty of good restaurants within easy reach. Our room was superb with sea view. The pool area was great for a relaxing day by the pool and sea. The staff were always helpful. We would recommend The Dome to anyone! 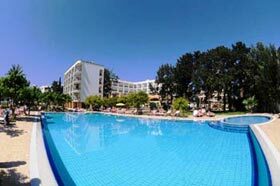 "Great hotel in the centre, near the Kyrenia harbour"
Just arrived back from Kyrenia and had brilliant holiday. Our hotel was not luxurious but a great value for the price. The rooms were very clean and functional; all members of staff were very helpful and welcoming, breakfast was good, the location was superb; it was only a short walk from the harbour. You will not be disappointed if you stay here! We didn't want half board as we thought there would be plenty of places to eat in the town, and yes, there were great restaurants to choose from!